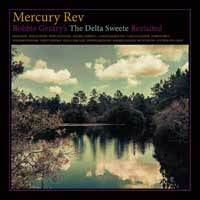 Our recommendations from this week’s releases start with Mercury Rev’s reimagination of Bobbie Gentry’s 1968 album The Delta Sweete, a psychedelic record depicting a Mississippi of hot biscuits, genteel table manners and working-class sense suddenly overturned by a grave sinning and suicide. Carried on an evening breeze of strings and a supple, foreboding voice like sensually charged breath, ‘Ode To Billie Joe’ became a surprise Number One single for three weeks late in the Summer of Love. The Delta Sweete Revisited features guest vocals from a stellar cast including Norah Jones, Hope Sandoval, Rachel Goswell, Vashti Bunyan, Beth Orton, Marissa Nadler, Lucinda Williams and Margo Price. 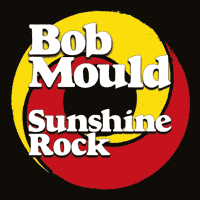 Ever-evolving artist Bob Mould – whose face belongs on the Mount Rushmore of alternative music – decided to “write to the sunshine,” as he describes it, not because he likes the current US administration, but from his personal experiences in Berlin, Germany, where he’s spent the majority of the last three years. 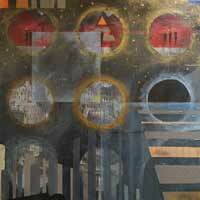 On Sunshine Rock, Mould has drawn inspiration from new environments. The theme, the cathartic vocals, and the strings all amount to Mould’s catchiest, grabbiest album since Copper Blue. 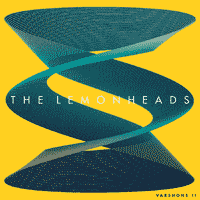 The Lemonheads’ first record in 10 years! follows up the critically acclaimed Varshons with another eclectic collection of covers. Varshons 2 includes versions of songs by Nick Cave, Yo La Tengo, The Bevis Frond, Eagles and more. The grunge-pop heroes, no strangers to a cover, perfect the art on this album. 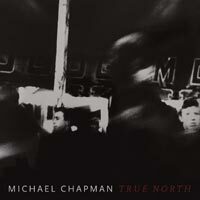 True North, the masterful follow-up to his universally celebrated 2017 album 50, finds Michael Chapman, elder statesman of British songwriting and guitar playing, plumbing even deeper and honing an ever keener edge to his iconic writing. This authoritative set of predominantly new, and utterly devastating, songs hews a more intimate, more atmospheric, textural, and minimalist sonic signature than 50, stately and melancholy in equal measure. Lau return with their new album, Midnight And Closedown. Already acknowledged as thrilling live performers and folk music pioneers, this is a new creative peak. The band’s 12-year recording career is resplendent with unexpected collaborations, accolades and innovative ideas. The sound of Lau in 2019 is perhaps closer to late-period Beatles than to the traditional tunes and ballads of their 2007 debut Lightweights And Gentlemen. And yet the new album’s closing track, ‘Riad’, marks a full circle, stripping the lineup back to bare acoustic instruments. Jessica Pratt is not a loud performer – she doesn’t have to be. In a club of a few hundred, even the bar staff are known to go quiet while she’s on stage. Her third album, Quiet Signs, feels like a distillation of this power. This is a spare, beautiful collection of songs that falls perfectly within the course of the Californian artist’s career. Quiet Signs is also Pratt’s first album fully recorded in a professional studio setting. Her songs and guitar arrangements have been pared back to include only what is essential, while the home-recorded haze of previous efforts parts to reveal the full scope of her vision. On the lead single, ‘This Time Around’, Pratt hits on a profound, late-night clarity over just a couple of deep chords, evoking Caetano Veloso’s casual coastal brilliance. Quiet Signs is a deserved album of the week. Click an image for more details and to order your copy. Look out for our special low pre-sale prices in red – order early so you don’t miss them!